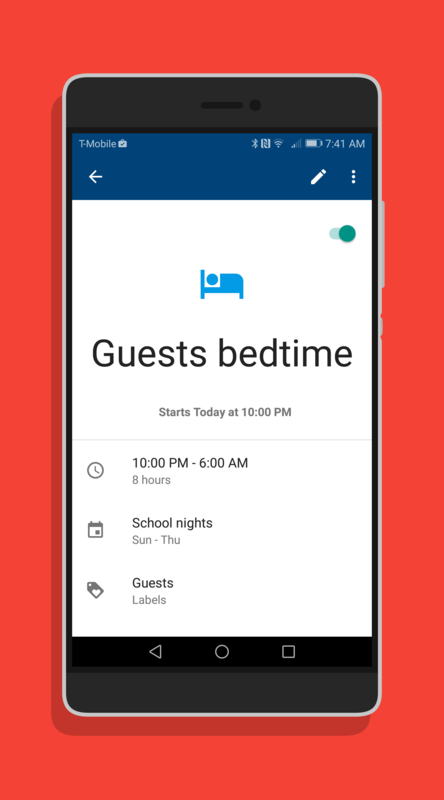 The Google WiFi app for Android has had an update rollout today that brings a great new feature for scheduling access time for certain devices. Named Scheduled Pause, the new feature allows you to schedule times in which devices that you select are not able to gain WiFi access. This is a great feature for parents who can block network access to their children’s phones or tablets while it is homework time or after bedtime. While it won’t block things like 4G data use, it can at least give some control over the WiFi network in the house. Once you have a schedule setup, you don’t have to do anything to enable it. It runs and ends at the defined time you selected when setting it up and only impacts the devices you put on the list as being subject to that schedule. The new feature can be found in the Google WiFi app under shortcuts and then the Family Wi-Fi. Tap on Schedules and you can enter times and select the devices that are subject to the schedule. You can add any number of devices to the list. Once you have created it and selected your devices, save the schedule and it goes into effect at the next scheduled time. There is nothing else you have to do to make things work but if you want to add or remove devices from the scheduled pause of network access, you will need to edit the schedule afterwards. If you have the Google WiFi app installed, the update should be coming to you over the course of the next day or two.